Eagle Over Alaska Pattern from Man Sewing - Rob Appell - Missouri Star Quilt Co. I was fortunate to be standing on the upper deck of a cruise ship as it began to leave the port of Sitka, Alaska. Even better, my good camera was hanging around my neck as a beautiful bald eagle flew directly over me. 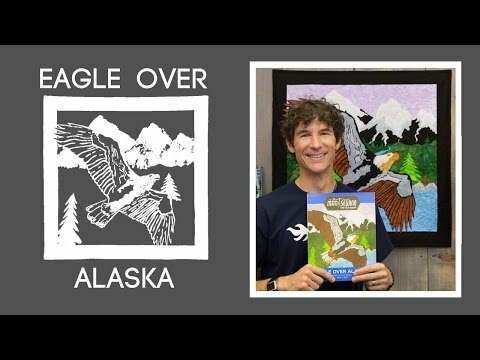 I have created this easy to construct fusible appliqué quilt to capture the beauty of Alaska and the flight of the magnificent bald eagle. Finished size: 28 1/2" x 28 1/2"